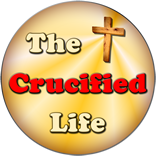 HomeThe Crucified Life Ministries BlogYou can rest in Him. The degree of trust is also clearly mentioned in this verse: “with all thine heart…” it not enough to trust in God when you feel like it, or things seem to be going your way, or your circumstances are pleasing and palatable. God desires for all mankind to trust in Him fully. God desires man’s heart is fully invested and leaning on Him for direction whatever the situation is in their life, including a conditional promise attached. His Word says: “In all thy ways acknowledge him…” God desires that mankind acknowledge Him in everything and further promises to those who do: “and he shall direct thy paths…” God desires to lead you on a successful path in this world and for all eternity. Today, January 1st 2016, begins a new year on earth which was spoken into being by God a few thousand years ago. All the days, since the beginning of time, have been accounted for by God and divinely placed on His calendar. Today, as you begin this new year, you are acknowledging the timing created by God., whether you realize He exists personally or not. YES, God does exist and He keeps perfect time; both on this earth and in the eternal realm. Do you allow Him to direct your path upon this earth as you place all your trust in Him? Do you know what time it is both on this earth and in light of eternity? 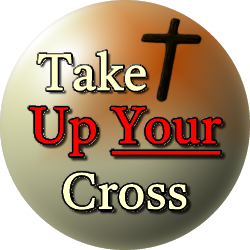 Or do you simply just turn the pages of the calendar each year without contemplating upon the things of God, leading yourself aimlessly on this earth and to the certainty of Hell in the eternal realm?